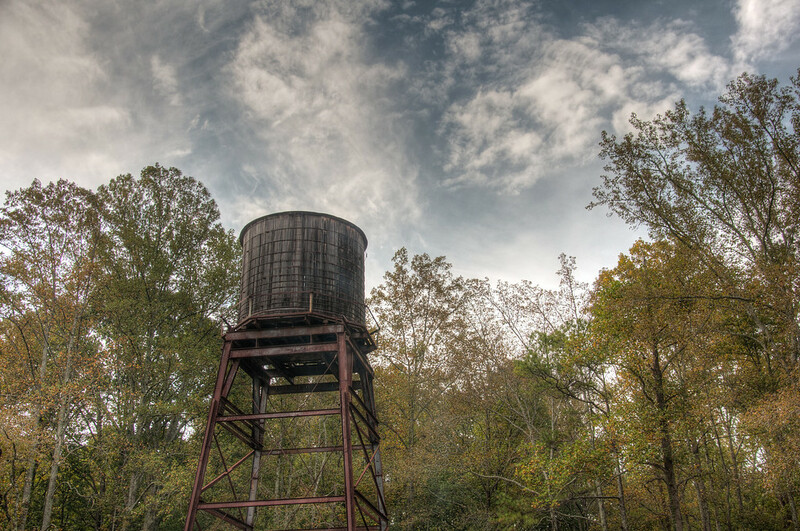 Another Water Tower | Just Shooting Memories! I found this at the Marble Festival in Jasper Georgia. I thought it was a good backdrop to a country type craft fair. I did not think I was going to be able to get a shot of this because they set up the food tents at the base of the tower. Most of the time, there were large clouds of smoke drifting by the tank. Fortunately, we were there at the end of the show and they quit cooking. As a side note, you can usually get a good deal on the left over food at the end of the event. Funnel cakes are really good.